The beautiful Essteele Per Forza range combines modern European style with precision Italian engineering to create pieces with outstanding non-stick performance that are a pleasure to use and beautiful to display. 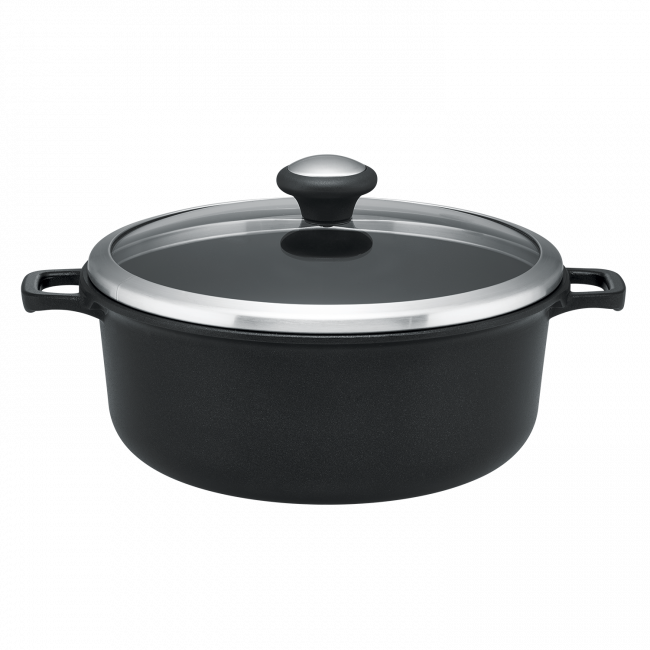 The cast aluminium construction of this beautiful 24cm Covered Casserole offers fast, even heating performance and exceptional durability for everyday cooking for the most discerning of cooks. Your family and guests will be congratulating you on your culinary skills, with this piece, that is so versatile it’s worth the investment. Engineered for optimum heat performance and a lifetime of delicious results. • Glass lid so you can easily monitor the cooking process. Essteele Per Forza 24cm/4L Covered Casserole is rated 5.0 out of 5 by 1. Rated 5 out of 5 by Michael from Great for oven cooking Perfect for oven cooking and the see through lid is very handy to see how the cooking is progressing.